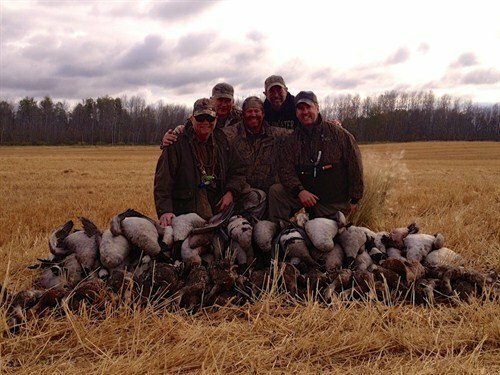 "Many thanks for making a dream a reality..."
Thank you for all your help and ensuring we had a great time duck and goose hunting in Saskatchewan Canada. I had a wonderful time. 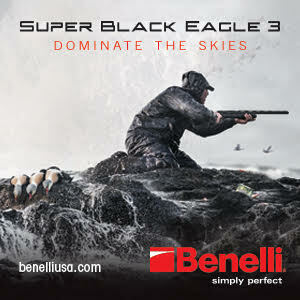 Great hunts, great people, sunrises and sunsets to enjoy with friends, and memories, great memories. Weather could have cooperated as far as being cooler, which may have pushed more birds into the area, but all was wonderful and will return. The guides worked hard and earned our respect. Once agaon, all was great and look forward to furure hunts. It was easy to work with GetDucks.com. I felt that the guide staff went out of their way to make sure that we had a good time and were satisfied with our Oklahoma turkey hunt. The effort put forth was top notch. Accommodations were comfortable and we all felt at home. We each got our rio, but it took some work. Unfortunately it seems to just be one of those years, not only in Oklahoma but much of Texas, too, where the drought has had an effect on the birds. It was easy to work with GetDucks.com. All information was provided in a proactive manner. Great customer service. All the guess work was taken out of the equation which made it easy in terms of preparation for our turkey hunting trip. Thanks for a great time with my dad. 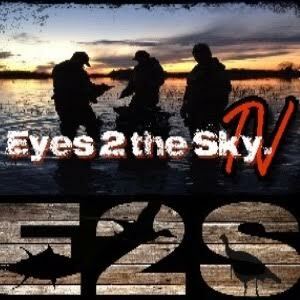 GetDucks.com does everything they can to make arranging good hunting trips easy. 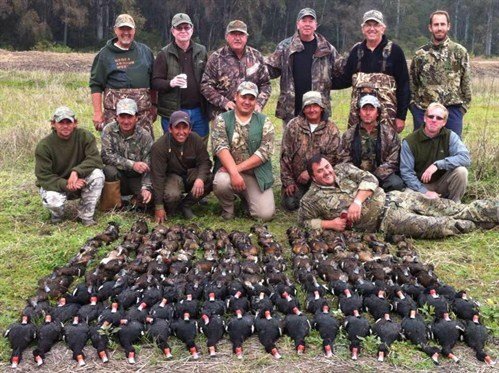 Y’all also provide all the information needed for this hunt. Simplicity. The weather played a big factor. Cold the first day, strong winds (30+mph) the next two days. The turkeys were still bunched up and not responsive. Although the turkeys were not responsive , the number of turkeys in this area is amazing. 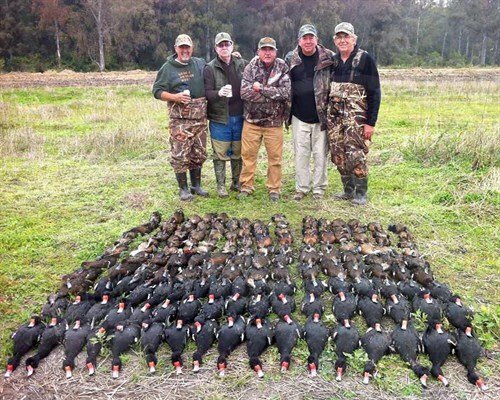 GetDucks.com does everything they can to make arranging good hunting trips easy. 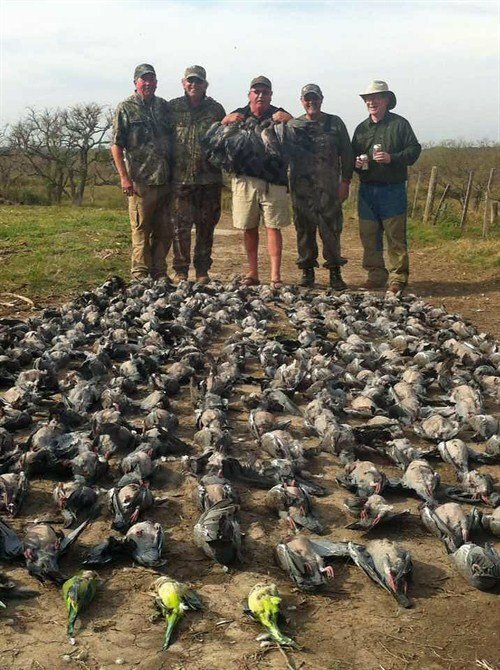 Y’all also provide all the information needed for this hunt. Reserve my dates for next year! GetDucks.com did what I expected, when I asked. Prompt and to the point, and I like the way I was treated. Thanks for a great ocellated turkey hunt. 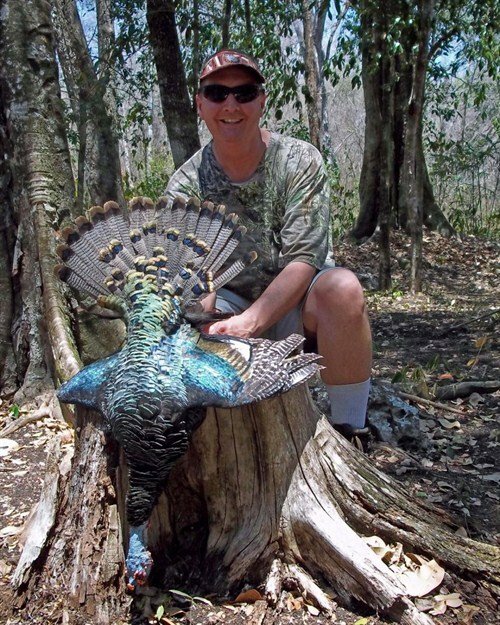 Everything about my ocellated turkey hunt was great – the guides, food, lodging, hunting. I was surprised by how comfortable the beds were at our authentic jungle tent camp. Seeing and hearing lots of ocellated turkeys is an experience I will remember forever, and the 2 ocellated turkeys I collected have exceptionally long spurs. I do not know how they could do much better. GetDucks.com did what I expected, when I asked. Prompt and to the point, and I like the way I was treated. 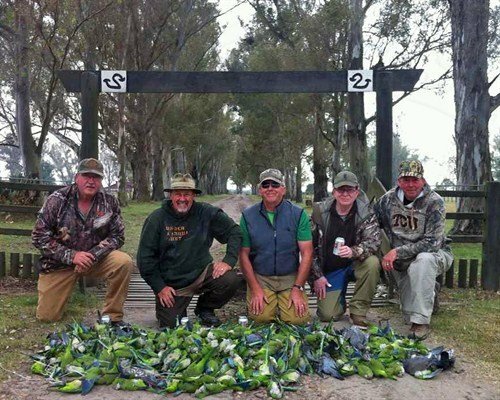 Thanks for a great ocellated turkey hunt. 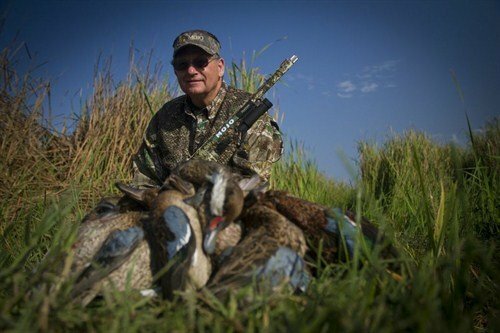 GetDucks.com is a quick and easy way to pick a reputable outfitter that you know has been checked out. 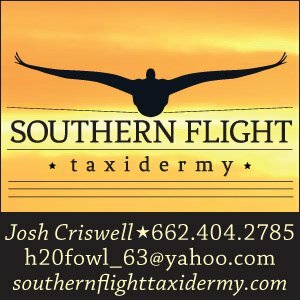 I enjoyed my Florida Osceola turkey hunting trip and got to watch a couple Osceola toms die while there. The guide was very easy to get along with and it was nice watching the birds around his house when not hunting. He knew his areas and where the birds would be. By talking to him, he doesn’t over hunt his land. The bunk house could use a little spucing up, but it was perfectly comfortable. Ramsey puts alot of time and work into picking out outfitters to use. He is also very helpful with any questions that arise. 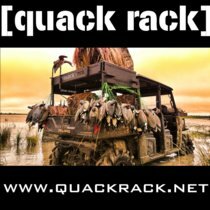 GetDucks.com is a quick and easy way to pick a reputable outfitter that you know has been checked out.